Auke (JJ) Steensma is a highly sought after and practised business leader and senior manager with considerable commercial experience within the private, corporate and government sectors. He has had not only very sound and long term experience in all facets of procurement, logistics & supply chain management and project, asset & contract management, but also considerable experience in the area of negotiation and alternative dispute resolution. He certified and qualified in the conduct of mediation, expert determination and adjudication (Construction Contracts Act 2004 of WA). Business Leadership, General Management & Company Directorship. Professional/Technical: Procurement, Logistics & Supply Chain Management and Project, Asset & Contract Management. Business Communications & Training: Negotiation and Alternative Dispute Resolution, Communication & Management and specialist skills Training. Master of Management Research (2007), UWA - Business School. Master of Project Management (2000), Royal Melbourne Institute of Technology (RMIT). Bachelor of Business in Transport and Logistic Management (1998), (RMIT). Diploma in Frontline Management (1998). Diploma in Materiel Management (1998). Certificate IV in Training and Workplace Assessment (2002). Managing Director/Company Secretary – Steensma Pty Ltd.
Former Managing Director/Company Secretary – ProLog Solutions Pty Ltd.
Former Board Member/Company Director – Tandem Nominees Pty Ltd.
Current Chairman of Strata Plan 22412 (2005 – Present). Current Council Member/Employer Representative - Defence Reserves Support Council (WA). Is actively involved as an Army Officer in the Army Reserve within Western Australia. He is a Council Member/Employer Representative - Defence Reserves Support Council (WA). MAICD – Member – Australian Institute of Company Directors. Completed the Company Directors Course. MIAMA - Graded member of the Institute of Arbitrators and Mediators - Australia. A Committee Member/ Co-Head of the Mediation/Conciliation - Colloquium for IAMA (WA). Qualified and certified in negotiation, mediation, expert determination and and is a Registered Adjudicator (WA) under the Construction Contracts Act 2004. Press below pictures to follow links to sites. 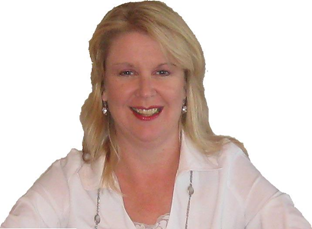 Stephanie Steensma has been a Director and the Business Manager for Steensma Pty Ltd since its inception. Stephanie was a practised, qualified and experienced Registered Nurse, Critical Care & Clinical Nurse and a former Associate Unit Nurse Manager with considerable experience within the private and public health sectors. She has undertaken successful leadership of multi-discipline teams in highly demanding health service delivery environments with full responsibility for budget preparation & financial analysis. She regularly coaches people with cardiovascular diseases and diabetes in the management of their illnesses. Stephanie brings with her considerable experience in recruitment, selection and induction skills and practical application of contemporary human resource practices in large and diverse organisations, such as: Equity and diversity and Occupational Health and Safety. Stephanie also undertakes a major role in the Corporate Health & Physical Awareness Training course.